When you are out for landscape photography or any nature shot per se, in whatever condition refrain from having high expectations and focus on the reality in front of you and not on what you wish were there. This will save you from having a lot of frustration. For some time, I have had bad photography days due to my levels of expectation (sunset, clouds etc.) until I eventually learned not to expect nature to always cooperate. Accept it, Mother Nature does what she wants when she wants it and never on when you want it. From my past experience, having much expectation destroys creativity. So, instead of waiting for cotton clouds to show up and end up getting frustrated if it doesn’t happen, I suggest that you explore other opportunities with an open mind and open eyes instead. Maximize your resources and use any kind of weather or light condition to your advantage. This is the challenge of landscape photography; instead of turning your back, might as well explore your photog options and probably exclude the sky and focus on the scenery around you and find other image details that you can work on. 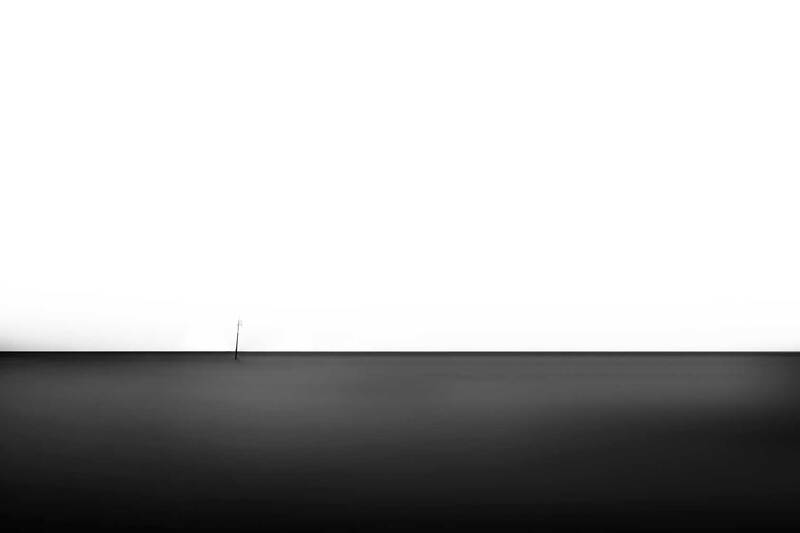 Or rather work on a “minimalist landscape” image. Minimalist landscape photographs are often about what you take out of the photo rather than what you include in the photo. A relevant tool for making minimalist landscape is a telephoto lens. Longer lens naturally allows you to isolate the most critical elements in an image. Do not hesitate using your longest focal lengths (I normally use a 200mm lens) since looking through them while panning and tilting around a scene surprisingly leads you to getting a unique output. Usually, the use of Neutral Density filters would help you achieve a more desirable image.